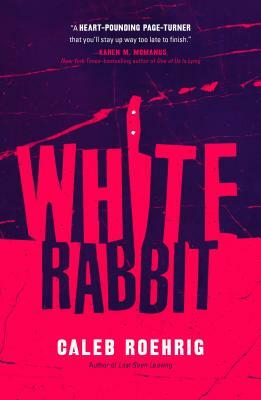 Caleb Roehrig, author of Last Seen Leaving, delivers another spellbinding young adult murder mystery in White Rabbit. Rufus Holt is having the worst night of his life. It begins with the reappearance of his ex-boyfriend, Sebastian—the guy who stomped his heart out like a spent cigarette. Just as Rufus is getting ready to move on, Sebastian turns up out of the blue, saying they need to "talk." Things couldn’t get worse, right? "Twisty plotting, suspenseful pacing, and vivid characters add up to a heart-pounding page turner that you'll stay up way too late to finish." —Karen M. McManus, New York Times-bestselling author of One of Us Is Lying.